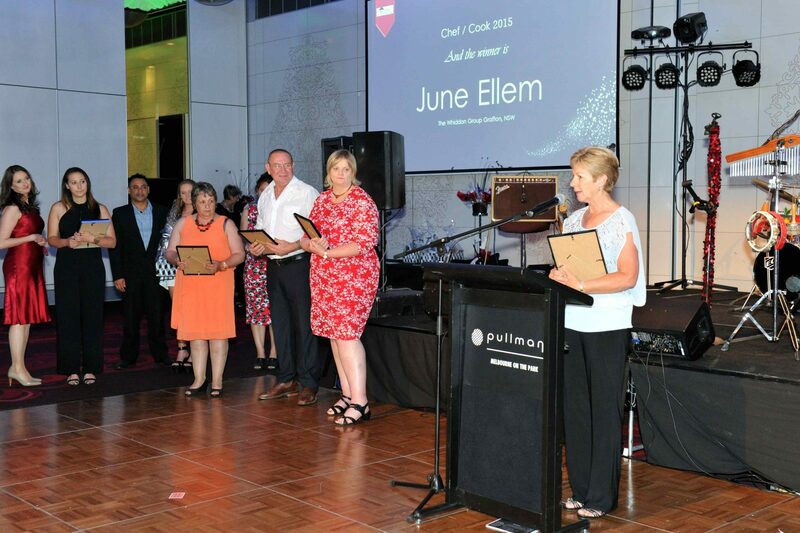 Whiddon Grafton’s June Ellem took home the National ‘Chef/Cook of the Year’ title at the 2015 Aged Care Hospitality Awards Gala Dinner in Melbourne on October 30. June received the award for her positive attitude, outstanding dedication to the quality and presentation of food produced, and for going the extra mile to plan varied, nourishing and delicious menus for the Grafton residents. Receiving the award in front of 180 guests including 34 finalists, June spoke fondly of her time at the Grafton home and thanked Whiddon, as well as Grafton’s Director Care Services Sandra Osborne and Regional Manager Mary Griffin for their continued support. “I’d like to extend special thanks to Sandra and Mary, who have been very supportive of me in my role, for always allowing me to see through any new ideas and encouraging me to think outside the box. If it wasn’t for Mary, I wouldn’t have been nominated! I’m so grateful for the day-to-day support I receive,” she said. “The thing I love most about my job is seeing the happiness on the residents’ faces when they receive their meals. They’re so appreciative of the effort that goes into the meals I create, which makes it so rewarding. I feel a great deal of satisfaction from seeing them happy.” she said. As part of her prize, June received a luxury gift hamper filled with food, wine and bath products, as well as a Rational Chef’s Knife Kit worth $1,200 which she plans to use preparing meals and entertaining family and friends with her home cooking. June was joined at the Hospitality Awards Gala Dinner by fellow Grafton colleague Mandy Pitkin. Mandy was recognised as the NSW winner and national finalist in the Facility Cleaner of the Year category. Grafton’s Director Care Services Sandra Osborne thinks that the hospitality awards are a fantastic initiative. “The Oscar Awards are such a wonderful opportunity for smaller, rural services to participate. 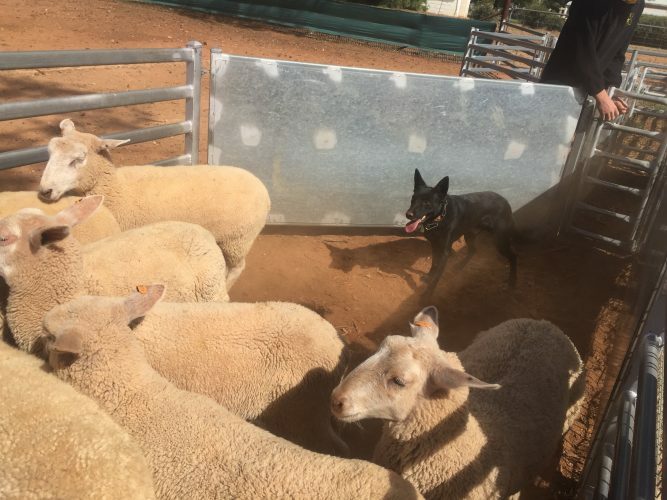 We’re up against some larger contenders, so it is very humbling to be recognised,” she said. “June was not only recognised for the service she provides, she’s also acknowledged for her individual touch, for the heart and passion that goes into her meals to ensure they appeal to our residents, who are extremely appreciative.” she said. The night’s entertainment included an exciting magic show by Magician and Illusionist, Matt Hollywood, and live music by Rock n’ Groove band Mae Parker and The King Beats.